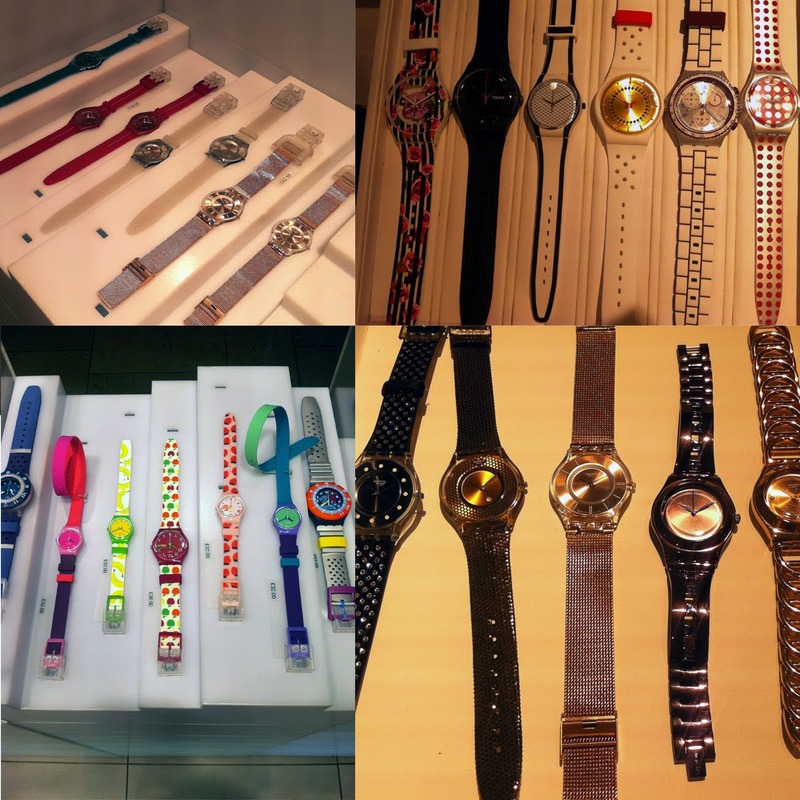 I was lucky enough to be invited along to the Bloggers and Press preview of Swatch new Autumn Winter 2014 collection and learn more about Swatch’s brand and products. 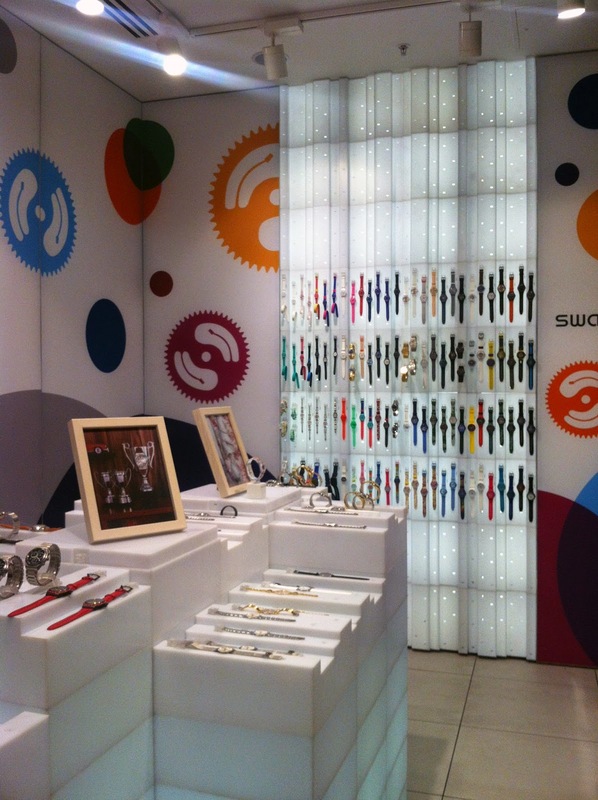 I went along after I finished work to meet another two bloggers and staff from the Swatch shop. 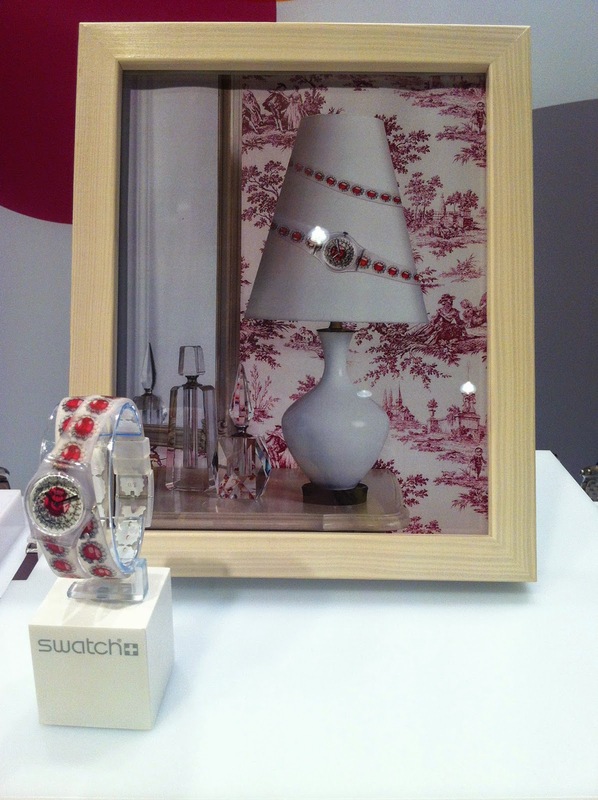 It was a very up close and personal event and I was able to get a great perspective of Swatch and the shop. I currently own one Swatch Watch which is from a previous collection from Jeremy Scott so I was expecting to see some wonderful designs and a friendly service. I was not disappointed! 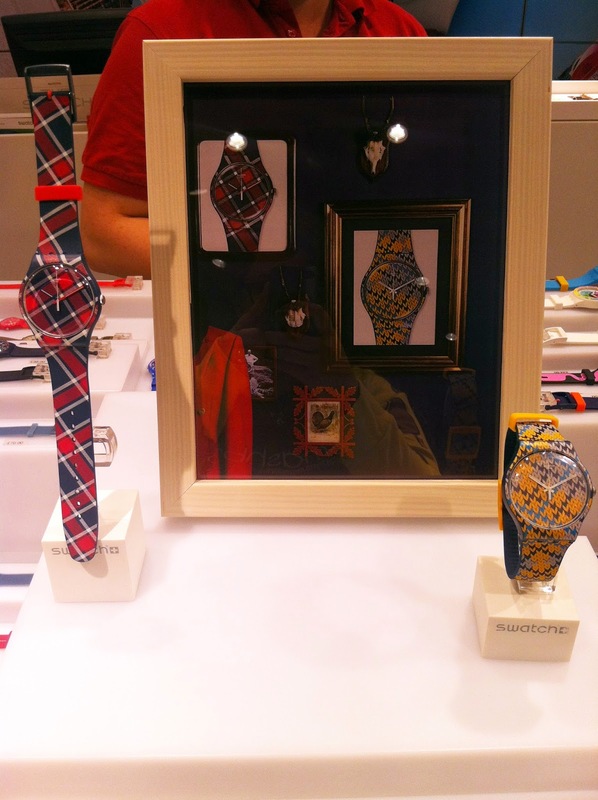 Greeted with a flute of apple juice I browsed around the shop and shown the new Swatch collection for 2014. There are four main collections, A World In Colors which is available now, The classic theme which is an upgrade to their classic styled watches, Let It Shine that looks at metallic shines and glam and finally High Lands Mix, which as the title suggests has a highland theme. The themes are very Autumnal, concentrating their efforts on pattern work, knitwear and different textures in fabric and colourways. The World in Colors collection certainly keeps a summer vibe with it’s fun colours and concepts, and elongated straps that make a great statement to any outfit or daytime look. 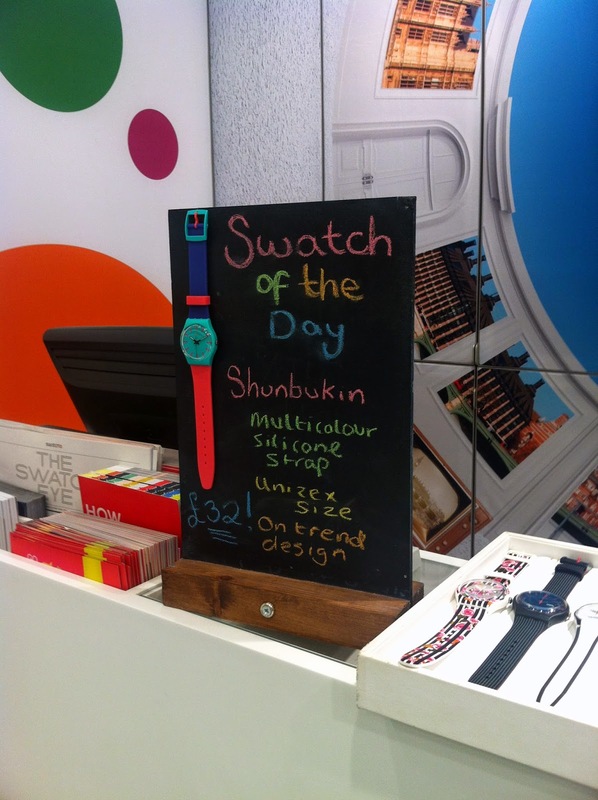 The shop has a fun vibe, and even showcases the Swatch of the day, which is a fantastic way to show a product and for people who aren’t sure what they want! It even has points on why the watch could be perfect for you. We were even told about the design of the shop, which is constructed from canvas panels which is eco friendly and minimum fuss when re decorating the store. The canvas is reused and is created to be used as bags and even bed spreads! 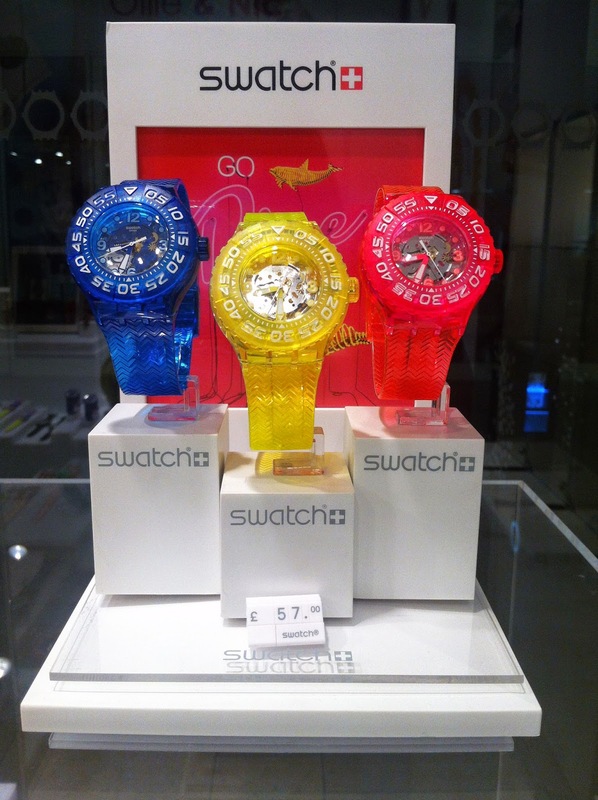 Everything in Swatch is well thought out. 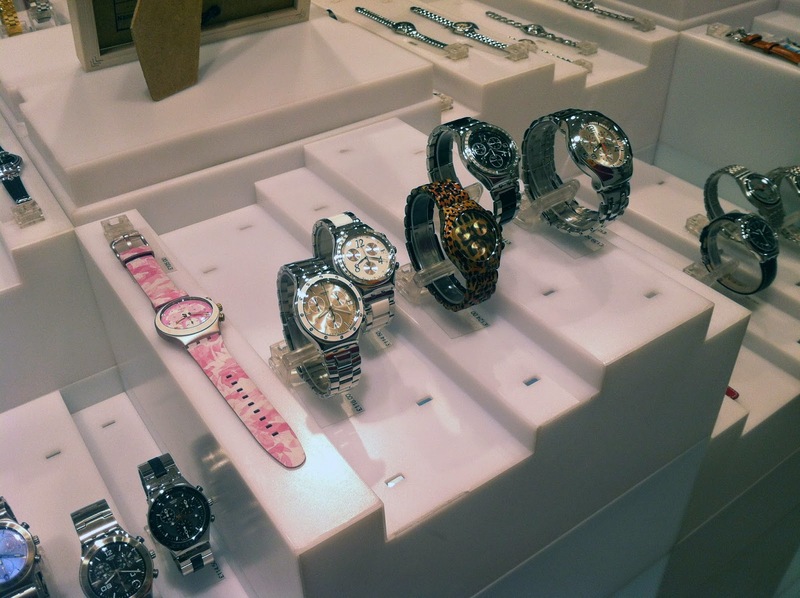 I have my eye on the pearl bracelet style watch on the upper right picture, definitely a watch to help me finish off any Winter outfit! The thought behind the collections is also amazing, because if one collections doesn’t suit you, no problem, maybe the classic revamp or Let It shine will be more suitable with their timeless look. They even had some watches which were suitable to use underwater, which was a major nostalgic moment for me and having a chunky watch for school. 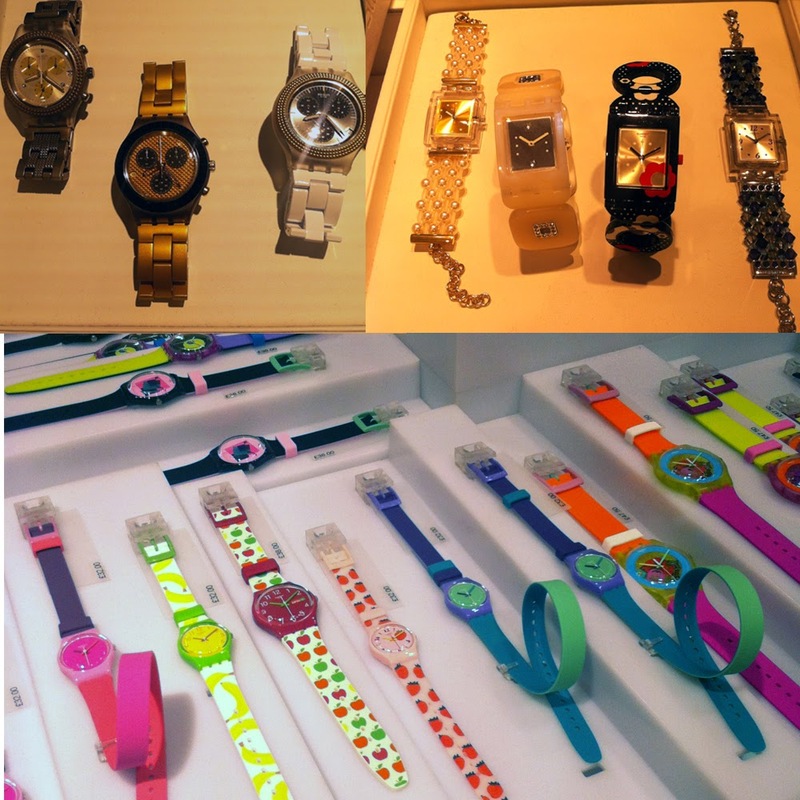 After my visit it broadened my look at the Swatch brand, as it isn’t just a quirky brand, they have timeless pieces as well as fun ones and a very high possibility they’ll have anything that will suit your outfit! 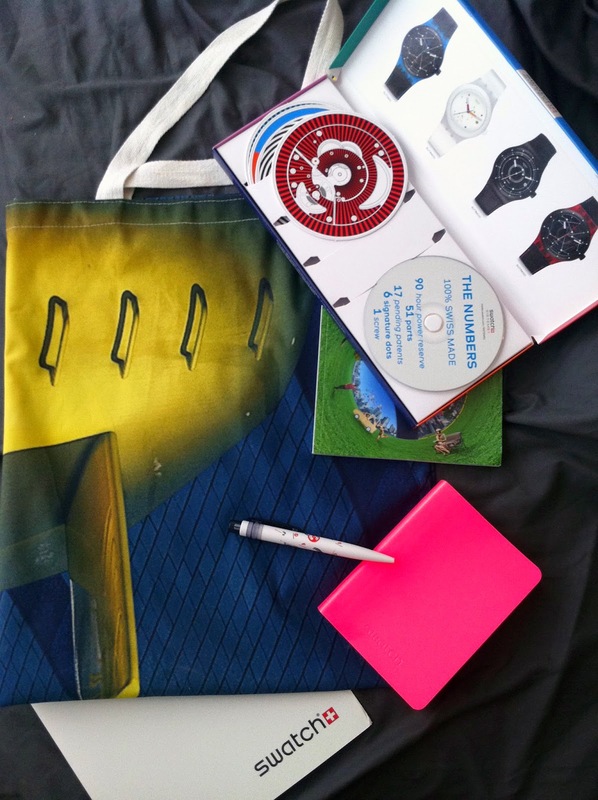 Each of us went on our way with a press pack, which included a canvas bag made out of the Cardiff store’s walls! 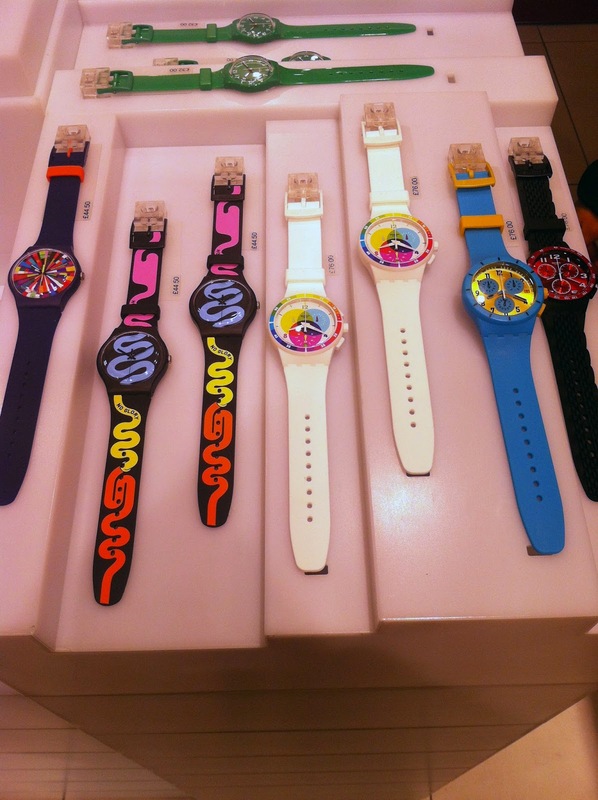 The collection’s prices vary, be sure to check out their website for more information @ http://www.Swatch.com or pop in to your nearest store. 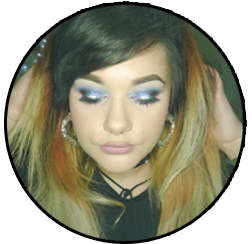 Posted on August 27, 2014 January 3, 2015 by sindyydollPosted in Local and National Events, Press EventsTagged bblogger, cardiff event, collection, event review, fashion blog, fblogger, Jeremy Scott, Swatch, swatch bblogger event, swatch blog event, swatch cardiff, Swatch collection, swatch event, swatch review, Swatch shop, Swatch Watch. Previous Previous post: But I don’t want to be pink toned! Why am I yellow toned? Questions and Comments MUAs get asked #1. Next Next post: I heart Makeup, Makeup Revolution Blushing Hearts Triple Baked Blusher Review!